We held our exhibition at Con Pane, a local bakery. Welcome to our online exhibition. Although this cannot be as awesome as our actual exhibition, we hope that by looking at this page, you can see what we have accomplished in our work and begin to understand about our lives. If you would like to know more about the Knowing me, knowing you project, please click here. What work did you show? We shared the self portraits that we had created in order to get to know ourselves and the biographies that we had created to get to know each other. These were beautiful pieces of work. They were better than we had imagined that we could create and we worked incredibly hard on them without giving up. 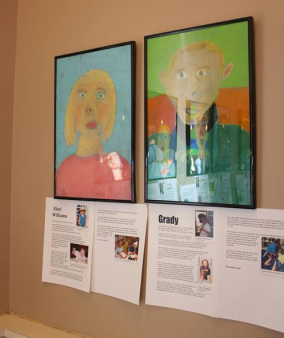 Click here to look closer at our self portraits and read our biographies. what happened at the exhibition? At the public exhibition we showed visitors our work and work completed by other students. We set up an observational drawing station with mirrors and a chalk pastel blending station so that we could teach visitors to our exhibition some of the skills that we were now experts in. We also made speeches to explain the process of our work and served refreshments. 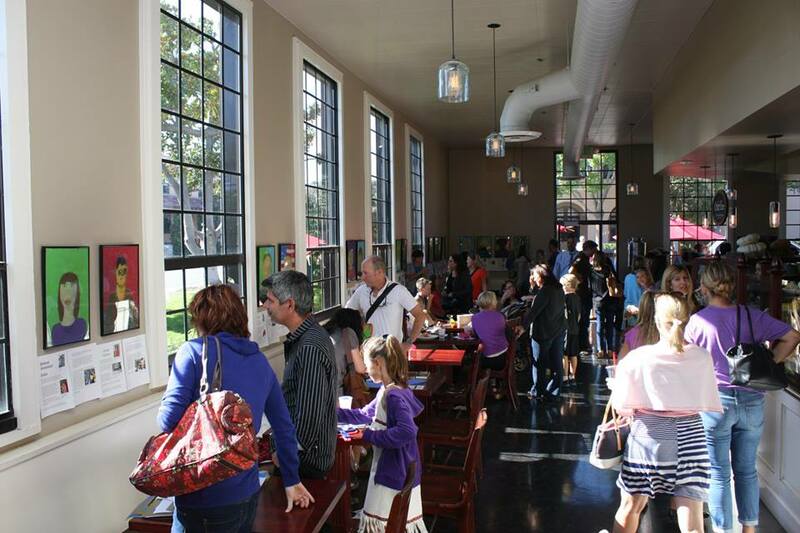 why did you hold the exhibition at con pane? Con Pane is a local bakery and cafe who were looking to brighten up their walls and make a greater connection with the community. Many of us go there with our families to enjoy their delicious sandwiches and cinnamon rolls. After the exhibition, our work stayed up on the walls of Con Pane for three weeks. 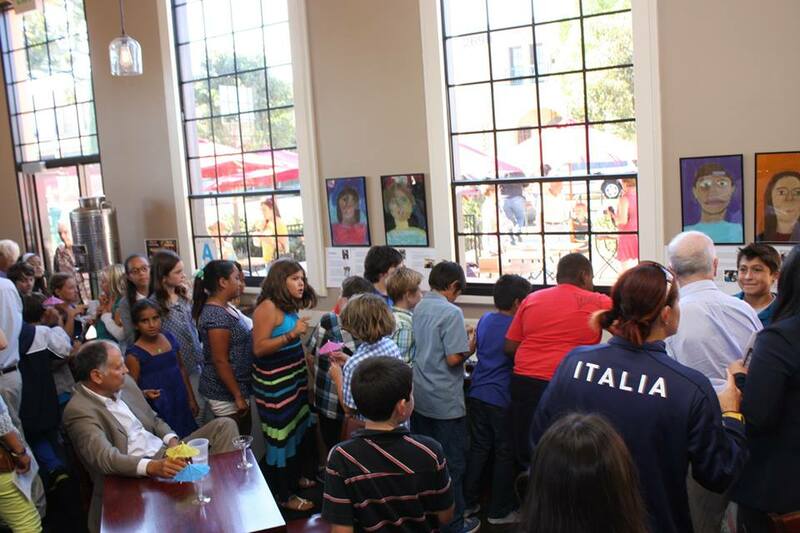 The exhibition allowed us to share our work with the community of Liberty Station. The manager at Con Pane told us that many of their customers came up to them and commented on the quality of the pictures and writing. Not only did the exhibition help us share who we were with the local community but it also helped the local community to trust us. We are now working on a project with a local bookshop that would never have happened if they had not seen our work at Con Pane and known that we were students who created beautiful work. 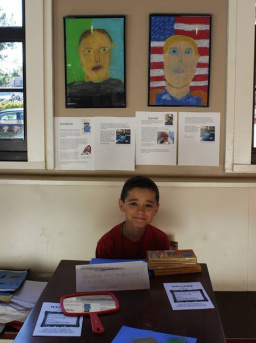 why did you hold the exhibition with 5th graders? Many fifth graders created self-portraits when they were in Ms. Chown's class last year and so they were experts at how to blend colors and draw faces. Being able to consult with experts was incredibly useful at the beginning of our project. Working with fifth graders meant that, straight-away, we were widening our community. It also gave us the opportunity to learn more about what we will work on when we are in fifth grade and how we will grow this year.